Identify the Alpine Space Programme results, in particular in terms of promotion strategies and opportunities created for SMEs to increase their visibility. 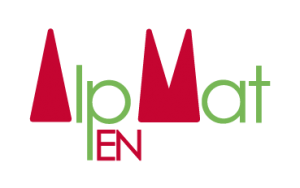 Capitalize on the achievements of Alpine Space projects developing and deploying innovative solutions mainly in the fields of energy efficiency, renewable energies and sustainable mobility. Setting the scene for 2014-2020, providing valuable input from the entrepreneurial world on needs, expectations and innovative promotion strategies for SMEs. The consortium will evaluate projects of 2007-2013 and outline recommendations for the next programme period withemphasis on the needs of innovative SME’s in relation to their municipal partners and customers. A communication strategy will be developed addressing SMEs that can or want to provide solutions for sustainable energy and mobility systems on the Alpine Space and beyond, building on the results of the (project) evaluation and providing the framework and support for developing and implementing an innovative event system. The innovative meetings will improve the networking of SMEs amongst each other, the demanders of their products and services and potential investors. Built on the findings and new concepts of the evaluation and analysis activities and supported by outcomes and products from information and publicity, ten events will be organized to create good practice and establish a steady system of Meetings on Advanced Technology in the field of energy efficiency, renewable energies and sustainable mobility.